Modern Diesel engines are powerful, fuel efficient and quiet. The technology in Diesel engines has come a long way in the last 10 years. No more thick black smoke when you start up in the morning or cruising down the road. No more smell from the exhaust and no more loud diesel rattle. Now you get power, fuel economy, and clean emissions. These high tech diesel engines do require some extra love and attention to keep them running at peak performance. These engines have added emissions devices to keep them super clean. 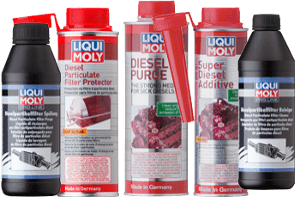 Some models require AdBlue to be added to the vehicle to keep them running great. Most of the modern diesel engines have a Particulate filter to remove all the soot out of the exhaust. Weather you have a BlueTec Mercedes, TDI Volkswagen or Audi, or a BMW Diesel we can take care of you. We have the expertise and the special tools to get the job done right the first time. To keep your high-tech Diesel engine in top shape come to Revolution Motor Works to get the job done.